Capture beautiful memories and striking moments while you encounter the animal kingdom of South Africa! 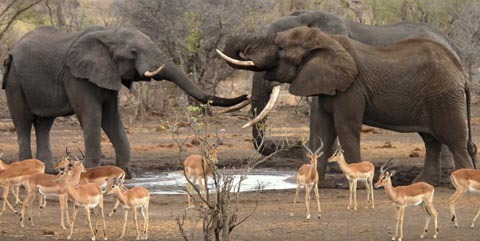 View the Big 5 in the Kruger National Park, and view the big cats in the Sabi Sand Game Reserve. You will go on various game drives in early morning, late afternoon and evening to give you the best photo capturing experiences in different light settings. There will be opportunity to photograph birdlife next from a hide next to a waterhole, well-known for its feathered visitors and optional walking tours after the morning game drives. This is truly a luxury photo safari experience.